Today, President Trump further damaged his environmental legacy by announcing that he will withdraw the United States from the Paris Agreement on climate change. The decision puts the US in the company of only two other countries (Syria and Nicaragua) that failed to join the international compact to address global warming and ocean acidification, and runs contrary to near-unanimous advice. US military leaders warned that leaving Paris would make the world a more dangerous place. Nurses and doctors implored Trump to uphold American commitments. American businesses, including oil companies like Exxon and Chevron, told him to stay in. Even Pope Francis told Trump that morality demands urgent climate action. It is an indefensible choice. You can think of climate change as a massive, planetary car crash. The past few decades have seen us going into the skid—we’ve cracked the windshield (e.g. increased the severity of Western wildfires) and scraped off a side mirror (e.g. 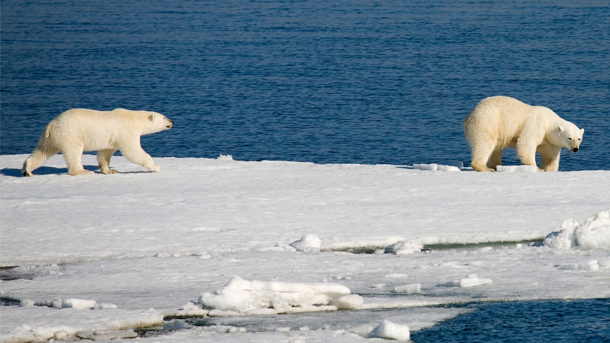 sharply reduced the sea ice that polar bears rely on to survive)—but it’s nothing compared to what lies ahead. With the Paris Agreement, 195 nations applied the brakes to stave off a fatal impact. But now, President Trump has decided to stomp back on the gas pedal with both feet. This is an act of supreme denial, against the warnings of 97 percent of all scientists and every major scientific organization, and it is as reckless as denying the physics of collisions. Reckless and misguided, because we know how to fix this problem. Solar, wind, and related technologies are the future (clean energy accounts for more than a million jobs in states that Trump won in 2016) but the President just keeps doubling down on the past, and his decision knocks America back toward the rear of the race. In fact, the European Union and China responded to the news by announcing a pact on climate and trade that boosts their standing while illustrating the international community’s dwindling trust in American leadership. Climate change is already making life harder for wildlife ranging from gorillas to corals to salmon; a recent study found that it endangers nearly 700 species of birds and mammals on the IUCN Red List. And although the effects will eventually be felt by everyone, the worst of it is borne by poor communities, which did little to cause the problem in the first place. In prepared remarks, Trump claimed that the Obama Administration signed the deal “out of desperation.” This misrepresents the negotiations (and most experts agree that the Paris framework needs to be strengthened in the years ahead) but sometimes, real leadership is the ability to recognize when desperate measures are called for. There’s still plenty we don’t know about this news and the devil is in the details. The withdrawal process is a years-long undertaking, and Trump vaguely alluded to “renegotiating” the deal. Rolling back Obama-era climate policies involves potential sticking points in the courts or in Congress. The next President can move to repair the environmental and political damage. Other countries and individual states will press forward with sound policies and innovations to decelerate global greenhouse gas emissions—their leaders know that it’s better to hit the wall at 15 mph rather than 80—even though it will be harder to achieve that slowdown without the buy-in of the world’s second-largest greenhouse gas emitter. This is a bleak day for the country and for the planet, but we need to keep working for change and support climate action wherever we can. Stay tuned for ways to help us achieve this goal.